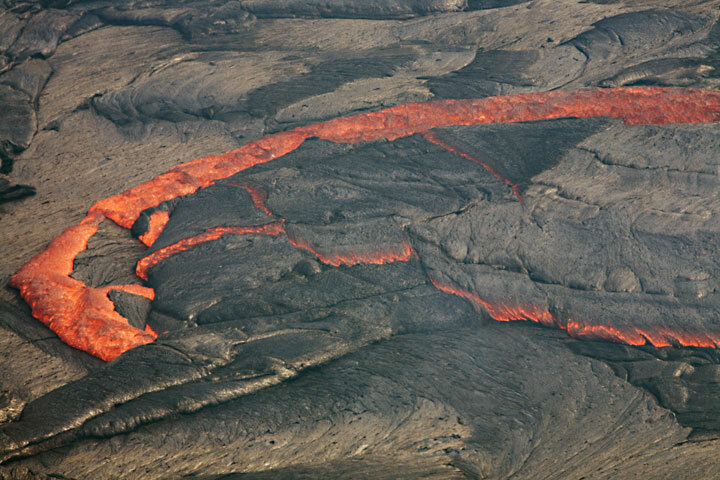 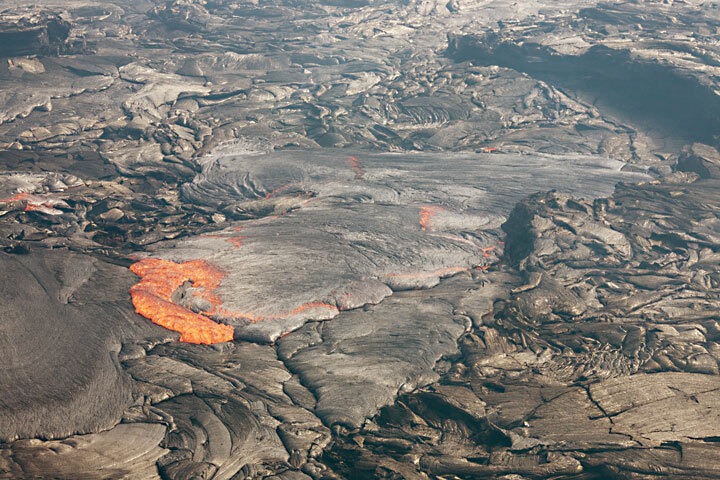 At regular intervals, parts of the lava lake's solid crust become instable and sink back into the molten interior of the lake. 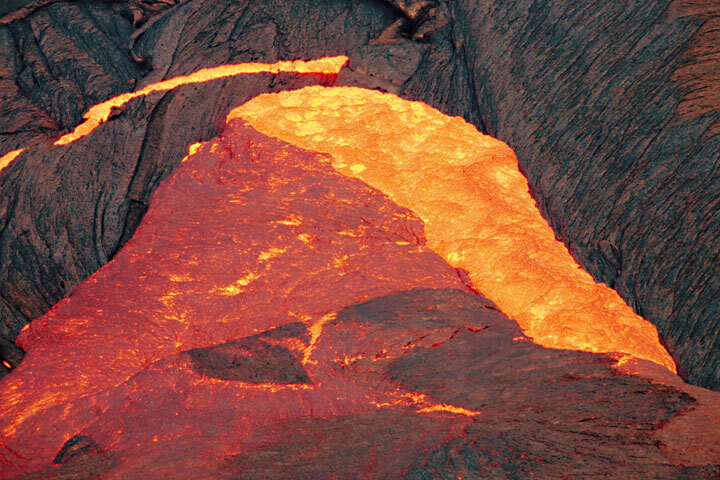 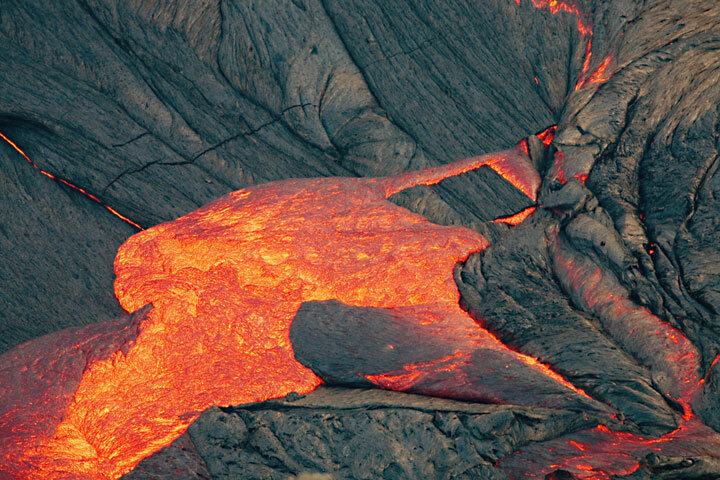 Fresh hot lava replaces the crust and cools to quickly form a new crust itself. 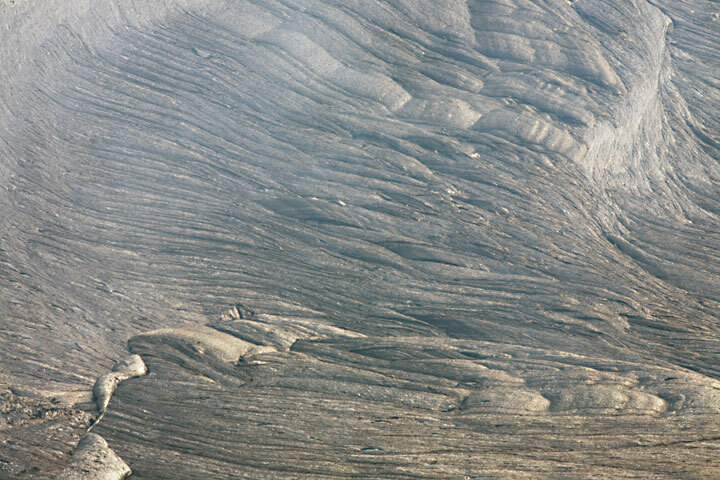 The smooth crust of the lake is broken into plats, which are moving against each other, simulating plate tectonics. 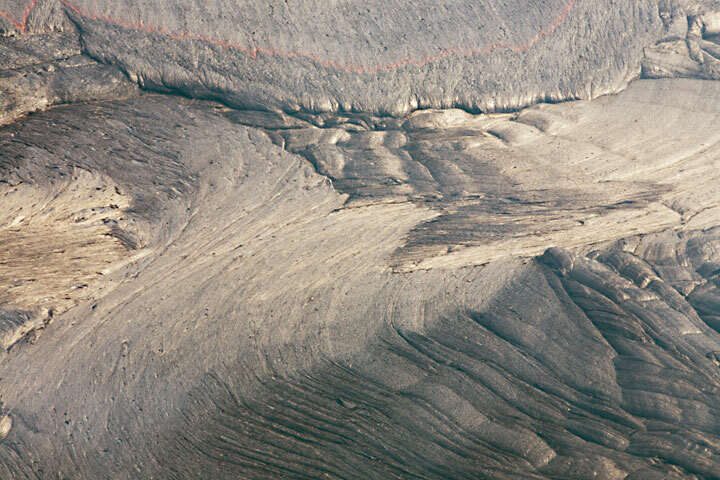 Above, a miniature mid-ocean spreading zone can be seen where two larger pieces of crust are moving away from each other. 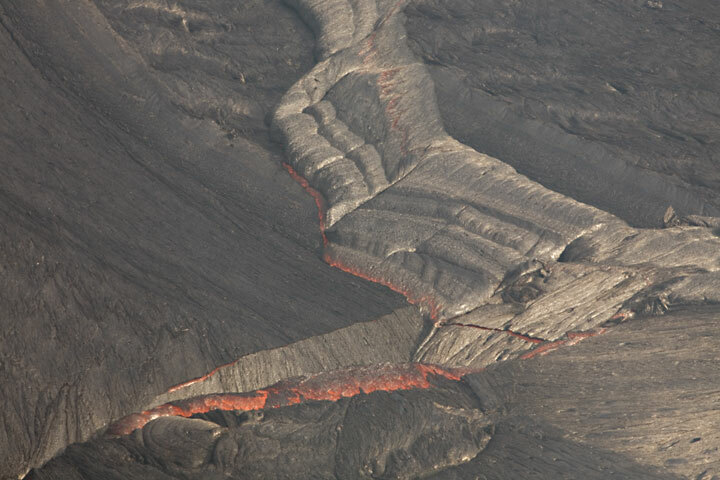 Overturning of older crust is a common feature at lava lakes. 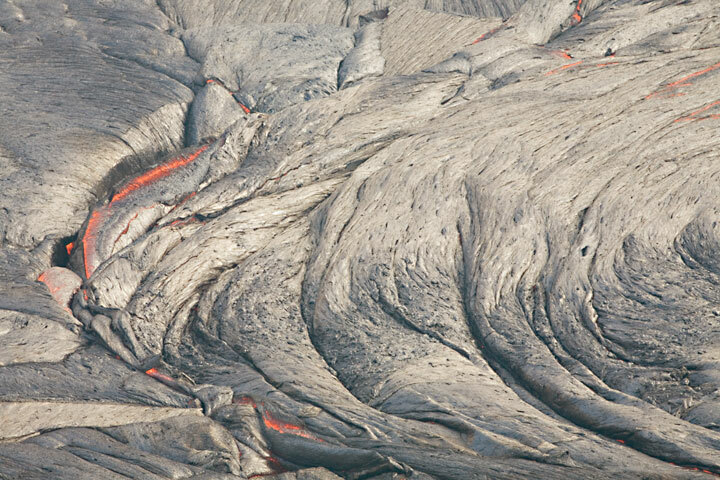 When the crust cools sufficiently, it contracts and becomes denser than the liquid underneath. 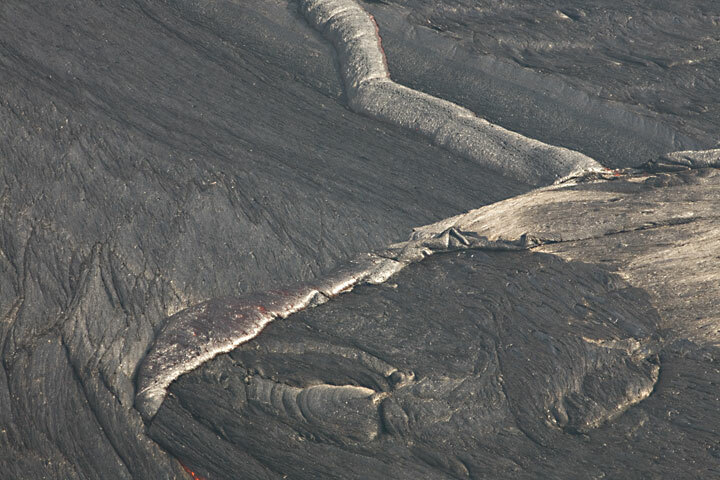 Eventually, pieces of it become unstable and overturn to sink back into the lake. 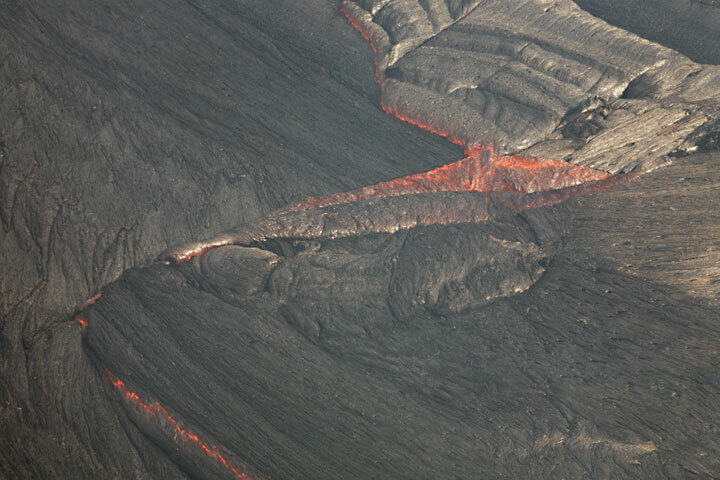 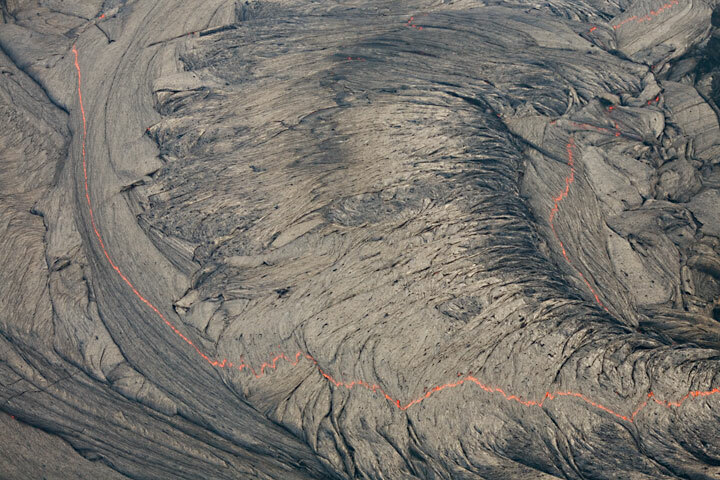 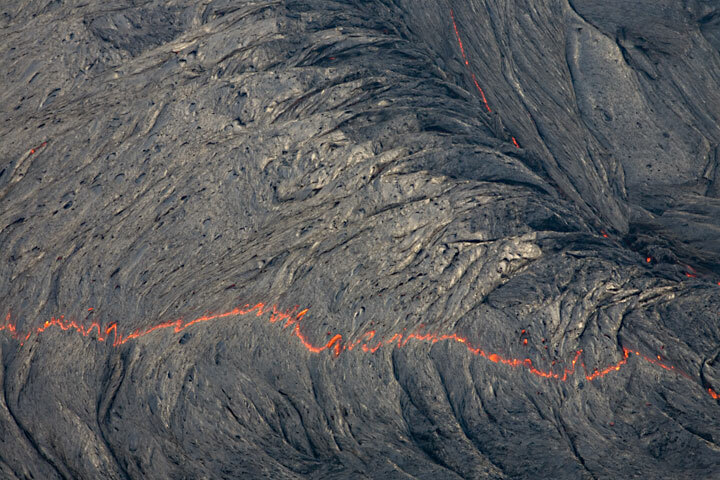 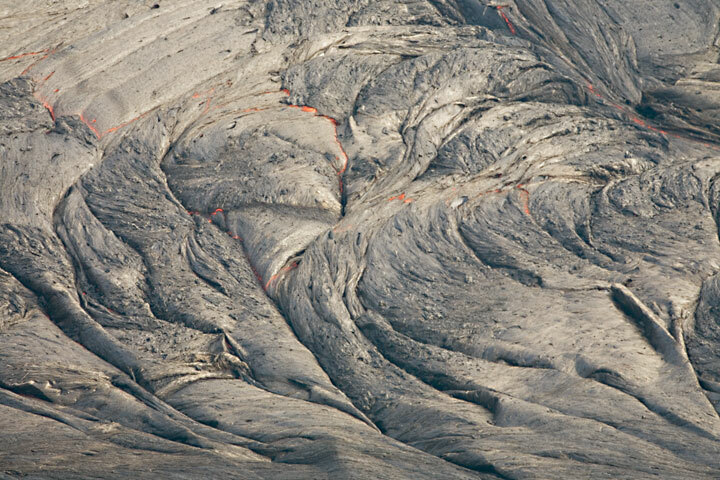 New crust is formed by upwelling lava from underneath. 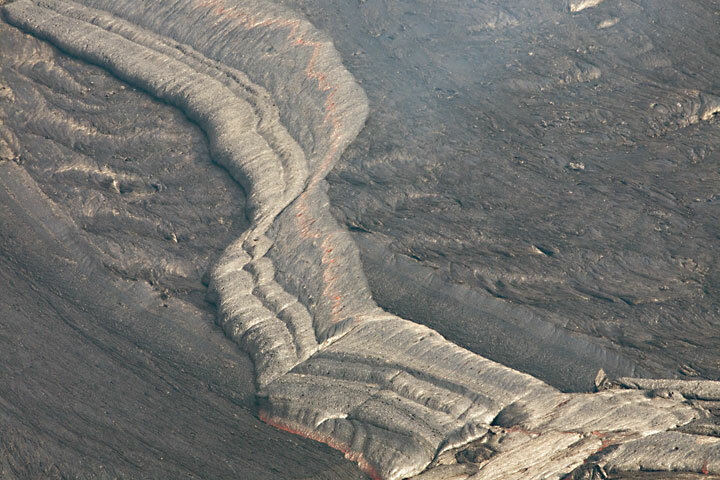 Smooth pahohoe-like textures characterize most of the fresh surface crust. 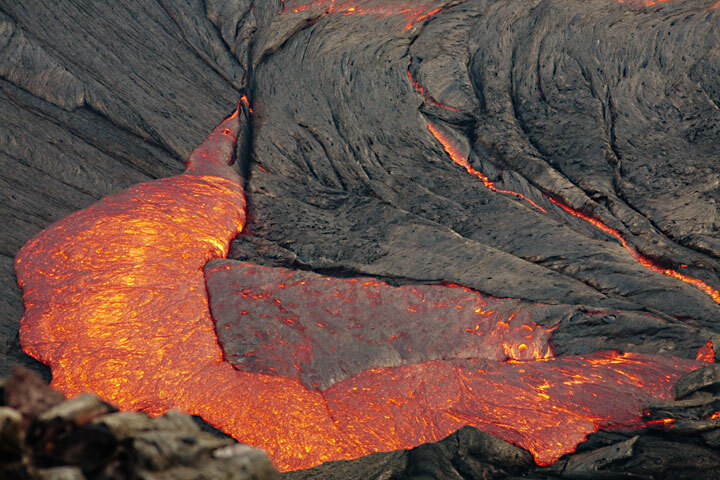 Since it is very young, it is still glassy and thus shiny and unbroken over larger areas. 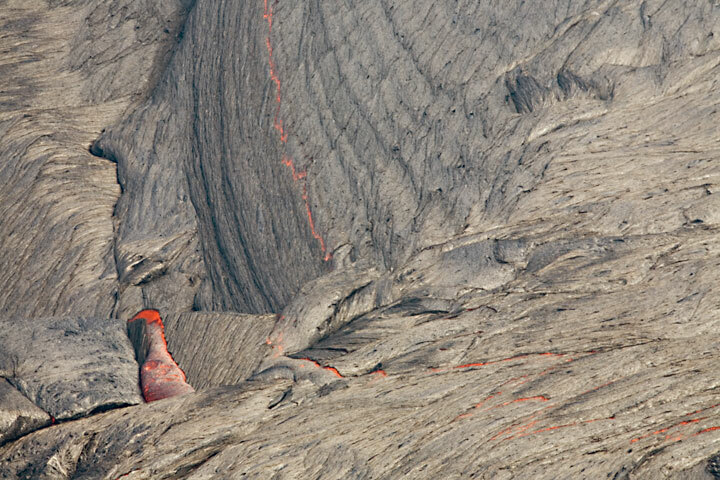 Elongated ropy textures freeze the initial movement of the lava while cooling to become solid crust. 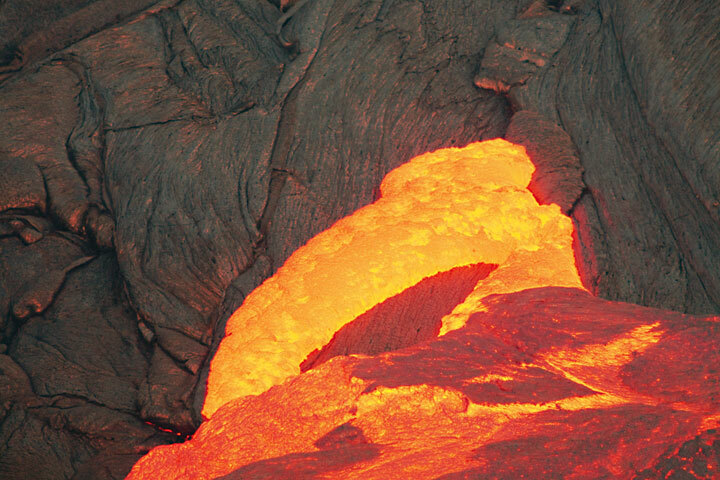 Different plates formed at different stages are glued together. 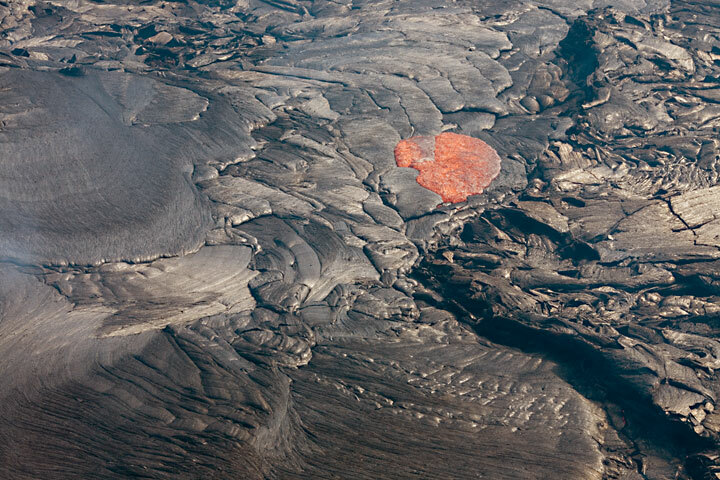 A piece of the crust in the center of the lake is being replaced by fresh upwelling lava. 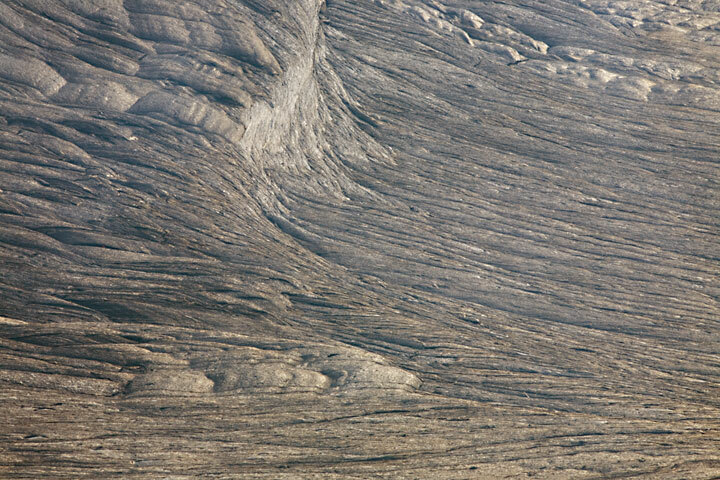 � Tom Pfeiffer, page set up on 29 August 2007.